Summer is here and the kids are home all day, running around inside and out. As parents, we know summers mean a tighter schedule for ourselves to not only keep our kids fed, but also active! A lot of times we have planned things like swim lessons or art camp, but we know most likely the majority of time will be spent at home. This comes with an obvious by-product: big, kid-crafted messes. This is where Summer chores come in and are a good way to start establishing a routine for them as they grow to not only keep their area clean and tidy, but the rest of the house as well! Parents may think that giving household chores to children can deprive them of too much of their time during the carefree summer. But psychologists argue that when our children are given the chance to help us, they feel like part of the family more. They also learn to be more independent and avoid becoming too overwhelmed by some responsibility. 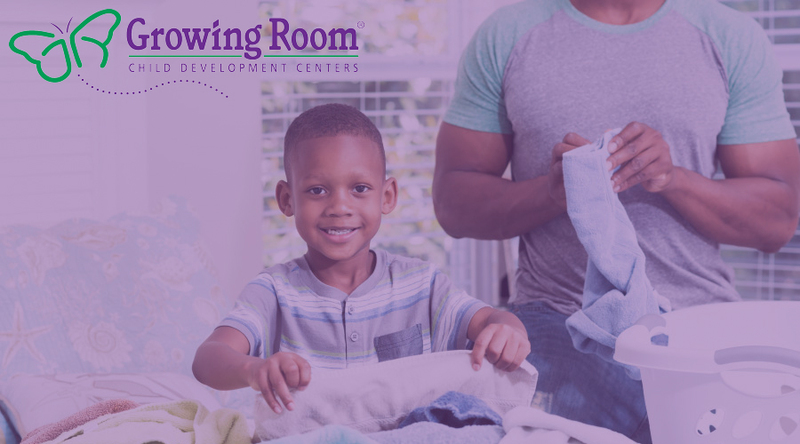 Some of the basic chores that we can assign children from the ages of 3 to 4 are things like gathering up their toys and putting them back in their appropriate bins. Brushing their teeth, washing their face and combing their hair are a few other great tasks for them to do. Not only are they getting into the routine of personal hygiene, but they are starting to take over a task, that up until then, you have taken responsibility for. Some other great chores for kids of this age are to set the table by placing napkins, plates and silverware on the table for a meal and cleaning their place after the meal is done. This can be extended by having them help put up any item that can be easily put on the shelf as well. Giving our children chores during the summer not only adds another activity to keep them busy, but allows them to feel more involved with the things that we usually do as parents. This will not only give them a sense of accomplishment, but also helps out with that extra mess from summer days at home. Active Learning: What is It & Why Do We Use It?